NOT EVERY BUILD TODAY IS DONE WITH THE INTENTION OF BREAKING THE INTERNET OR BEING THE FIRST TO ACHIEVE “THE NEXT BIG THING.” There’s certainly nothing wrong with those plans, but they aren’t everyone’s priority. Dylan Dirickson of Elk City, Oklahoma, had more practical goals in mind when he set out on his first full build. He wanted something reliable to comfortably transport himself and his growing family to the many long distance shows they attend each year. With that in mind, as well as his lady’s approval of the project, he set out to find his ideal starting point. 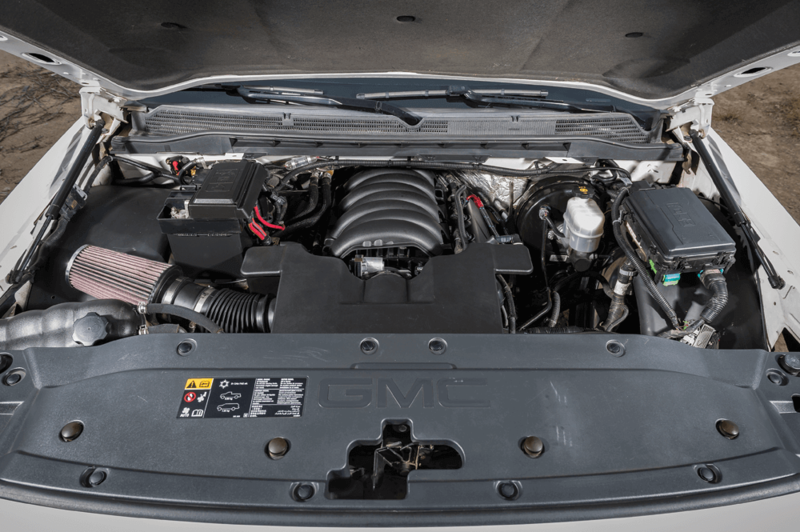 He spotted a ’14 GMC Sierra on a local car lot and noticed that it had the longer 6.5-foot bed. Dylan had seen a few of these Chevrolets with the longer bed option ’bagged but never the GMC. So he decided then and there to be the fi rst to lay out the Sierra 6.5-foot bed. Not only is Dylan an Oklahoma resident and truck enthusiast, he’s also a Severed Ties petitioner, so there was no question where the truck would be headed for its new suspension setup, Phat Phabz in Oklahoma City. Jake McKiddie and his team are some of the most well-known builders in the nation, in addition to being OKC locals. Dylan was already friends with the crew, so it was a no-brainer. The plan was to ’bag the Sierra on Raceline billet wheels to keep it simple and reliable. He left it with Jake and headed off to Biloxi for his wedding the following weekend. A few months down the road, Jake called Dylan up and asked if he was interested in turning the GMC into a SEMA build. The opportunity came about when a spot opened up in the Truck Heroes booth for Undercover Bed Covers. 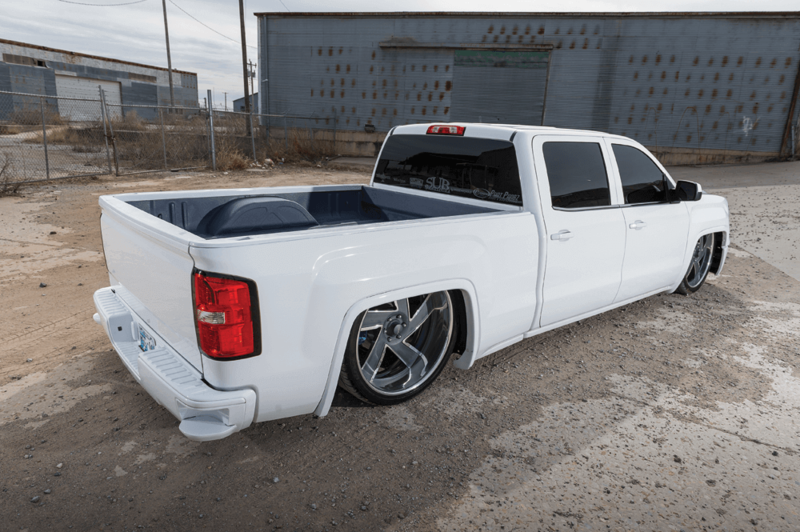 “I had the opportunity to attend my first SEMA, build my first SEMA truck and visit Las Vegas all for the first time, so I accepted the challenge,” Dylan told us. 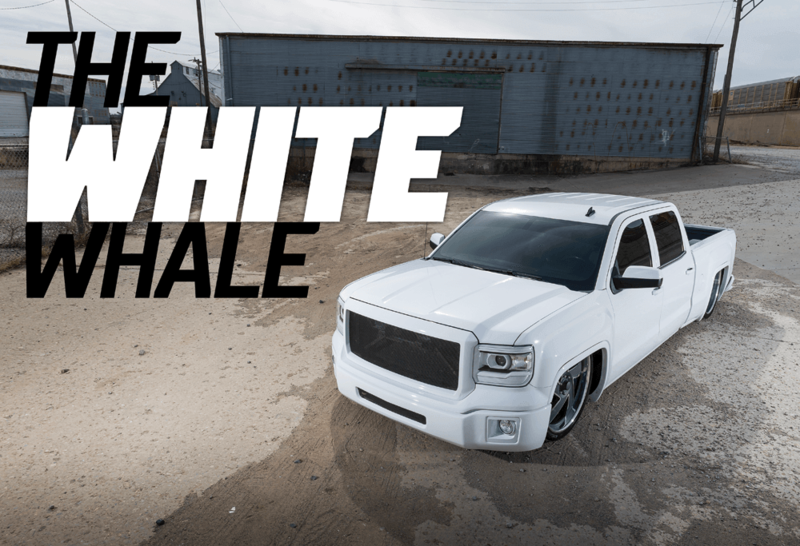 Since his truck was now a SEMA build, Dylan decided to step it up a bit. 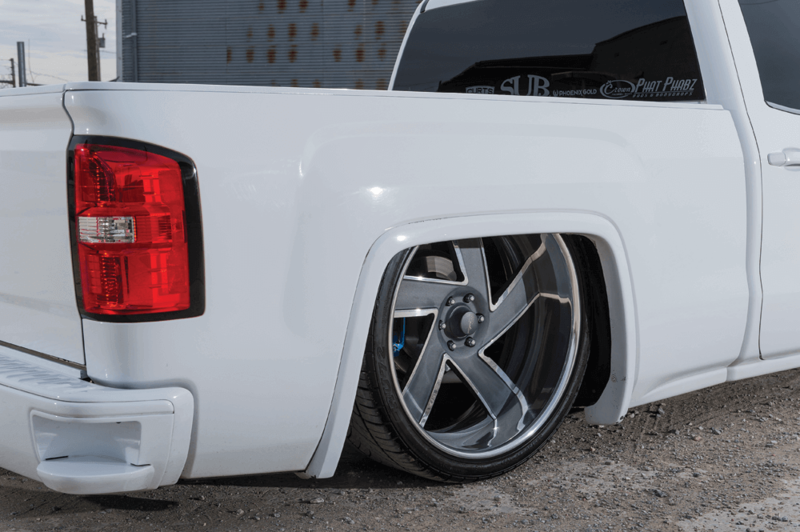 Phat Phabz laid the truck out with custom ½-inch plate control arms up front and a triangulated 4-link in the rear. 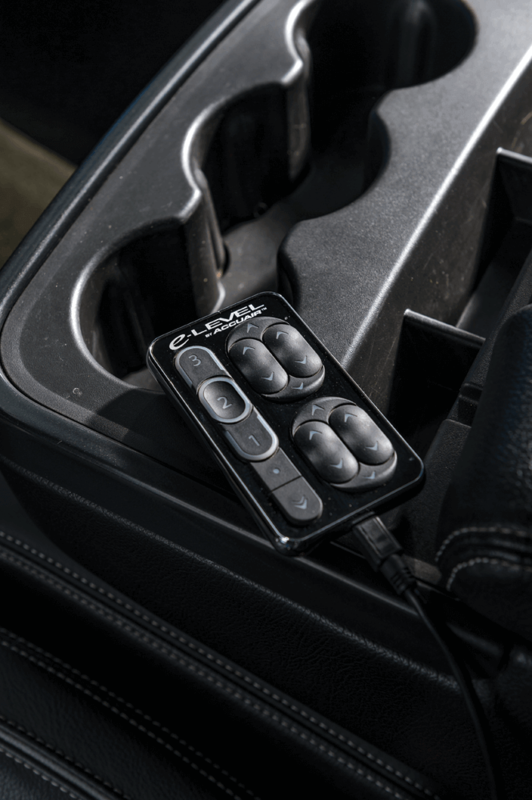 Using AccuAir eLevel management, the truck rides ideally on perfect presets for long trips, including the drive to Vegas. Set up on Airlift 2600 ’bags in the front and sleeve ’bags in the back, the truck was definitely a driver and could take a beating. 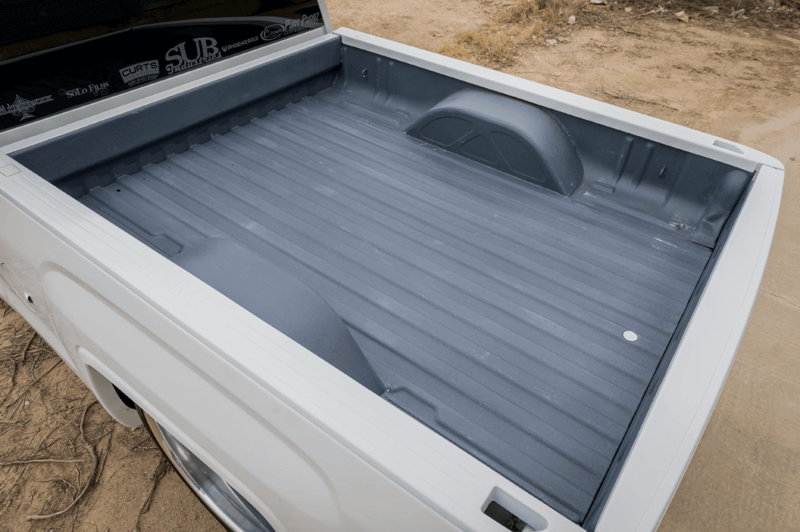 In addition to the stout suspension setup, Dylan wanted to make sure his truck looked the part of a SEMA build and began to think of additions to his GMC blueprint. 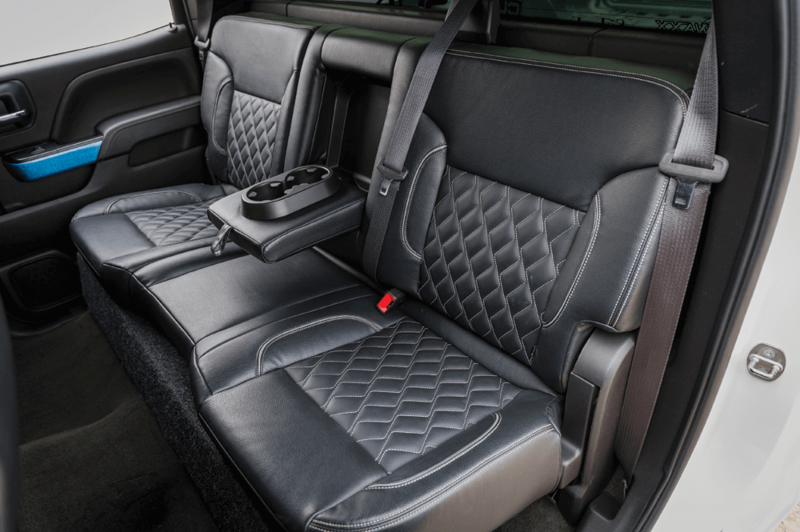 SHAVING THE HEADRESTS ALONG WITH THE DIAMONDSTITCHED KATZKIN UPHOLSTERY KIT CREATE AN ENTIRELY DIFFERENT SEATING EXPERIENCE. 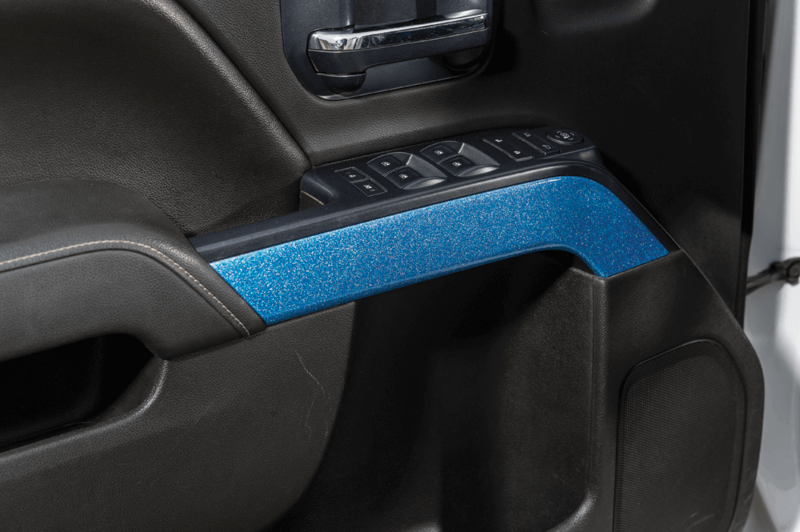 DYLAN ADDED A COLOR ACCENT WITH OLD-SCHOOL METAL-FLAKE TRIM TO THE INTERIOR.